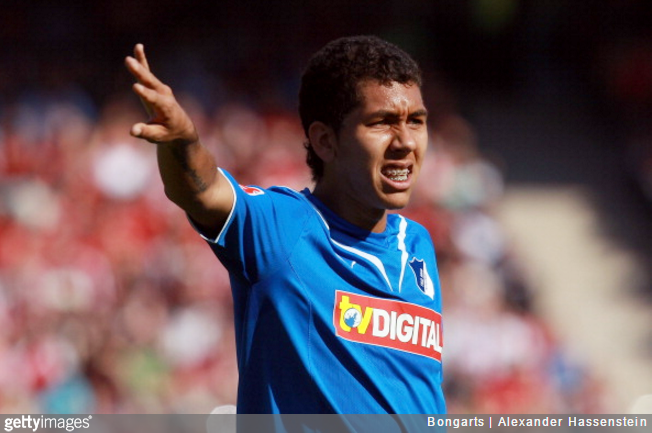 The Hoffenheim scout responsible for plucking Roberto Firmino from the Brazilian second division has revealed that he initially discovered the midfielder using Football Manager. The German club initially ended up paying around £3.5million for the teenage Firmino in January of 2011 before selling him on to Liverpool at a significant mark-up (£29million) some four-and-a-half years later. While appearing on TalkSPORT, Hoffenheim scout Lutz Pfannenstiel (there’s that name again) revealed that he first identified Firmino, then aged 17 and playing in Serie B with Figueirense, as a potential target using the erstwhile management sim’s notoriously meticulous database. Yeah, that’s right. £3.5million roughly. If you’re getting a guy from the second league in Brazil, only 17 or 18-years-old, straight away people think he needs to play in the first team directly. So people were saying you’ve paid that amount for a player who hasn’t made it yet. In the end we sold him for €42m plus [future] payments, so in the end I think we did it right. I think it’s good scouting, definitely. It’s all largely unconfirmed, but reports from the time also suggest Hoffenheim failed with similar bids for Dedryck Boyata, Emiliano Insua, Davide Santon, Miles Addison, Geoffrey Kondogbia, Fabian Delph, Lewis Holtby, Giovani dos Santos, Sergio Canales, Sotiris Ninis, David N’Gog, Federico Macheda and Nathan Delfouneso.